Belmont’s College of Theology and Christian Ministry (CTCM) held Compass Points, the College’s vocation and faith retreat for incoming students, June 14-17. Focusing on the theme of making a home at Belmont and in Nashville, as well as storytelling as a vocational discernment practice, new CTCM students visited three non-profit sites where they learned about their work in Nashville for justice and heard the call stories of their founders including Brett Swayn of the Cookery, former CTCM alum Nicole Brandt of Poverty and the Arts and Tallu Schuyler Quinn of Nashville Food Project (NFP). 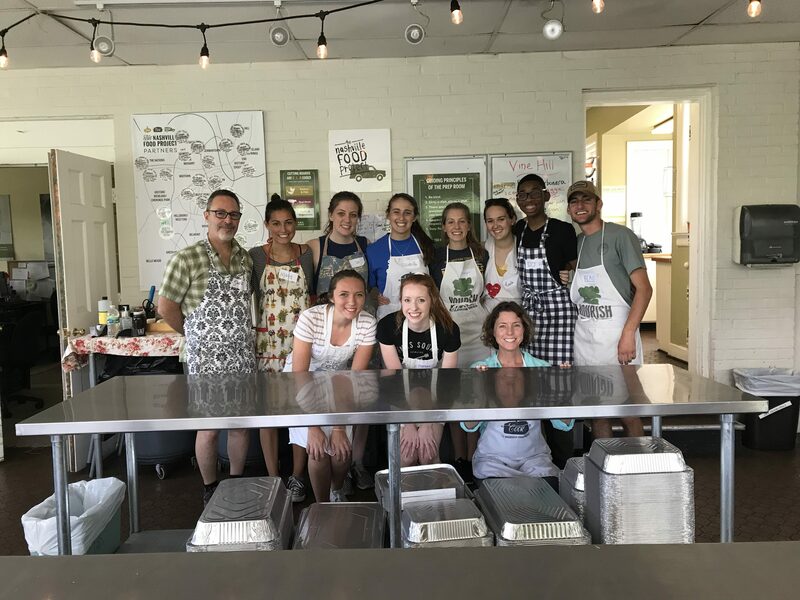 Students served in the NFP kitchen where they made over 200 meals and engaged with three formerly homeless artists at Poverty and the Arts.